My friend Jackie once told me about a study she read that claimed the planning and anticipation of travel can be as satisfying — and maybe MORE — than actually taking the trip. In my experience, it’s not been MORE satisfying, but man I love to do travel homework. 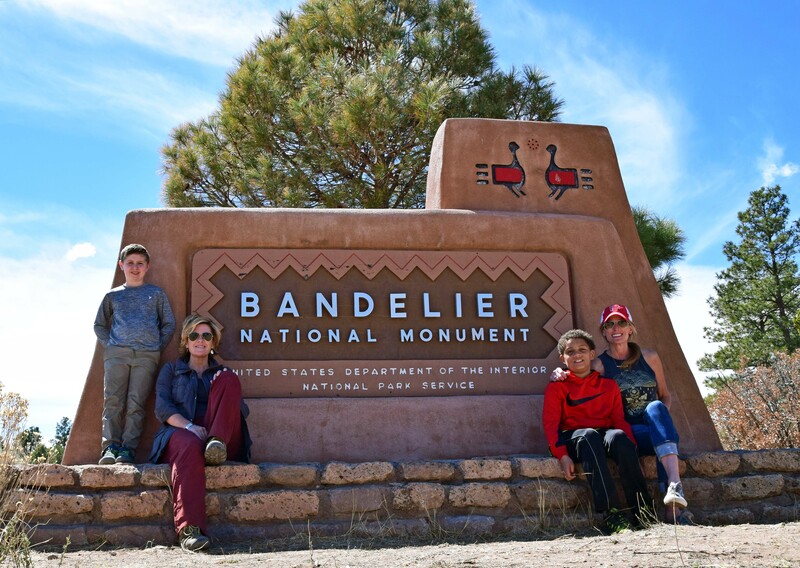 I search to the corners of the internet for the experiences right for our family, and often stumble across hidden gems we would have missed — and tragically underrated places like Bandelier National Monument. There’s no shortage of charming shops and delicious food and incredible history in Santa Fe — and we’ll get to that! 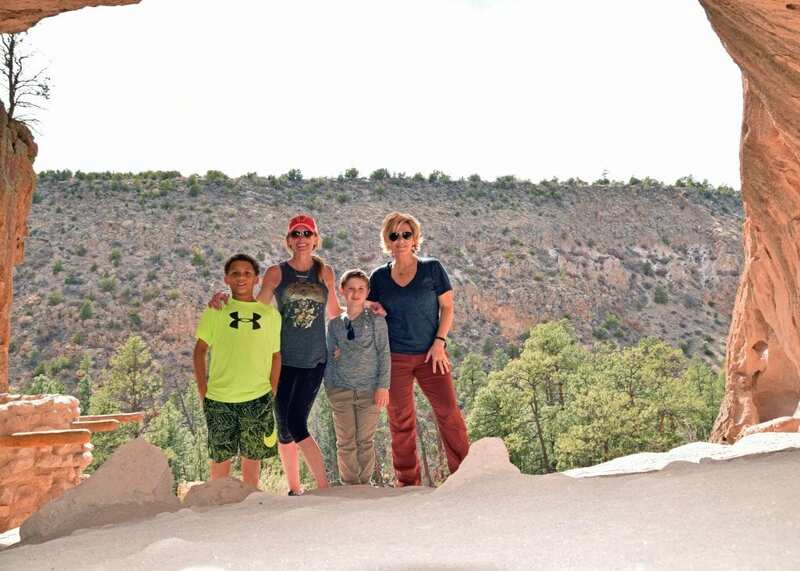 — but as we drove north out of Albuquerque after our early morning balloon ride, our group of adventurers was ready for one of those hidden gems I’d found while doing my travel homework. It promised hiking, beautiful scenery, and a stamp in the passport for my favorite national park junkie. 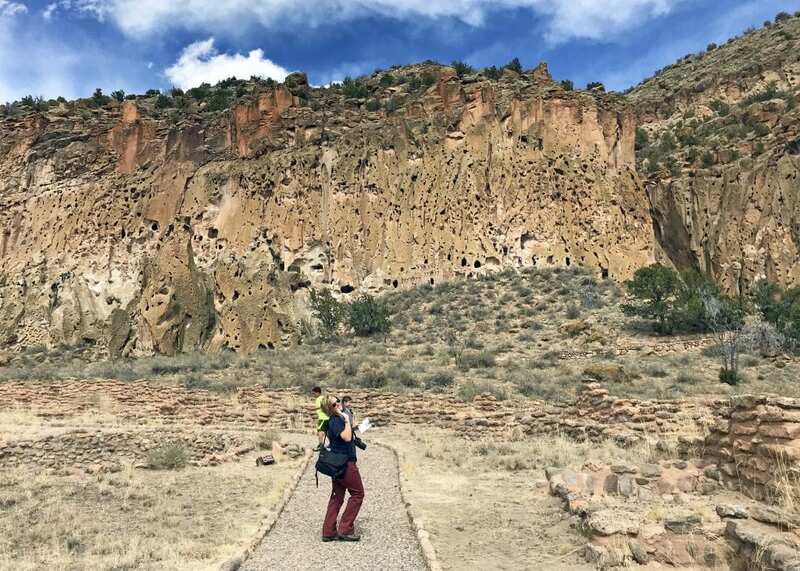 Bandelier National Monument exists to preserve the homes and territory of Ancestral Puebloans who lived in the area between 1150 and 1600. 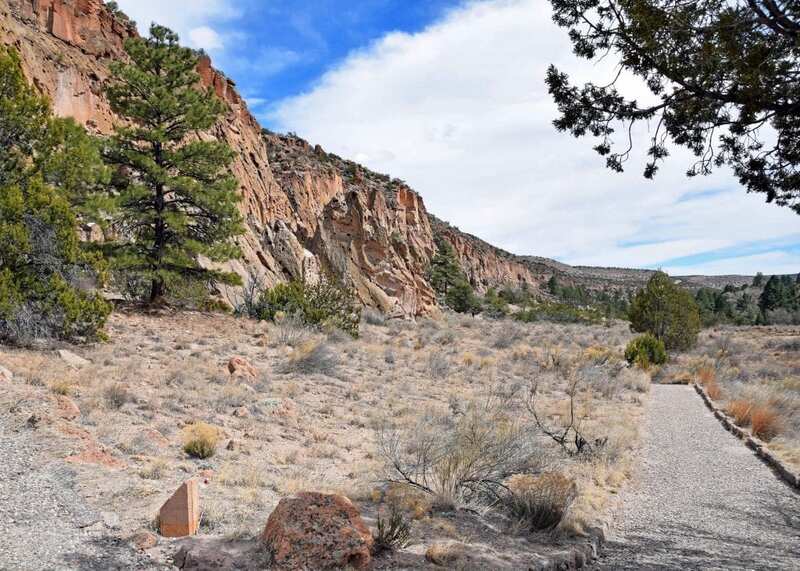 The park is structured as a large hiking loop that winds through exposed archeological sites and homes built into the cliffs of Frijoles Canyon. 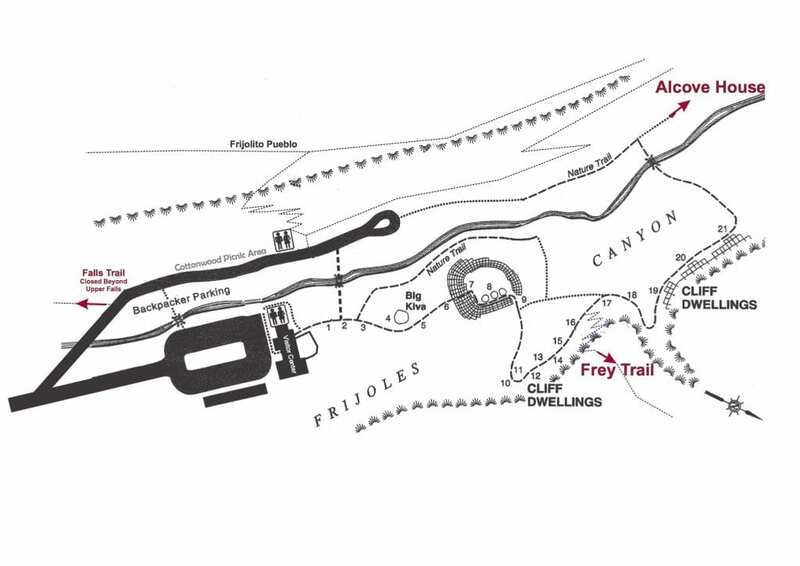 Our hike started at the Visitors Center in the bottom left and we followed the numbers on this map, including the out-and-back to Alcove House. 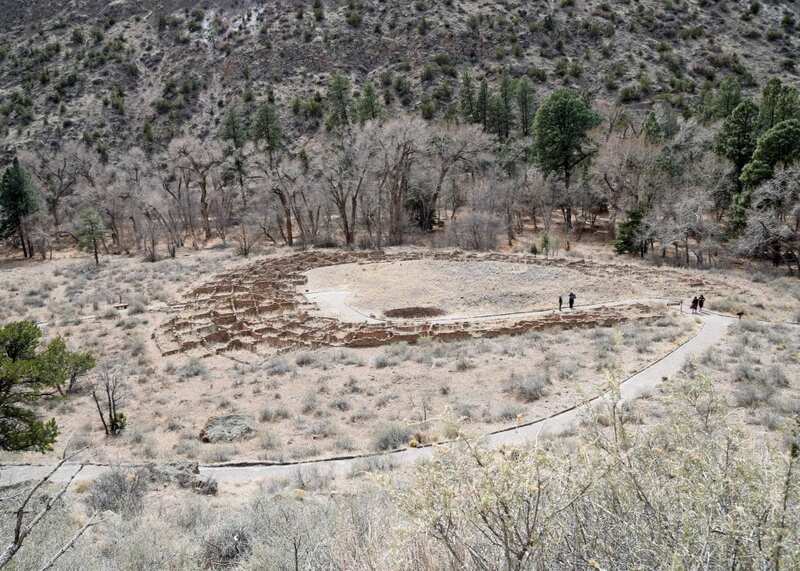 Ruins of Pueblo dwellings just off the trail. 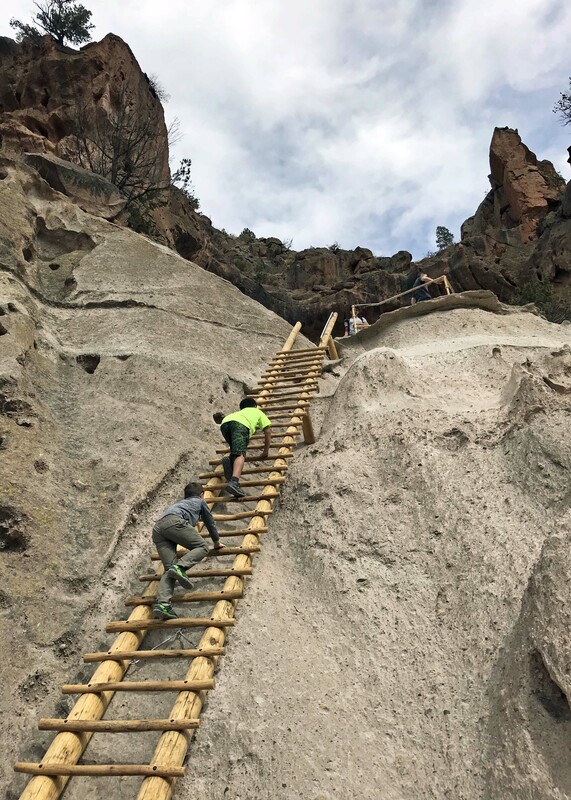 As we wound through the park, we came to a series of dwellings built into the cliffs — and the park has recreated ladders that allow visitors to explore inside! Many of the ruins along the trail were off limits to touching, but the kids loved getting hands-on with these structures. Anytime we can give them some latitude to climb and explore, they’re more invested. 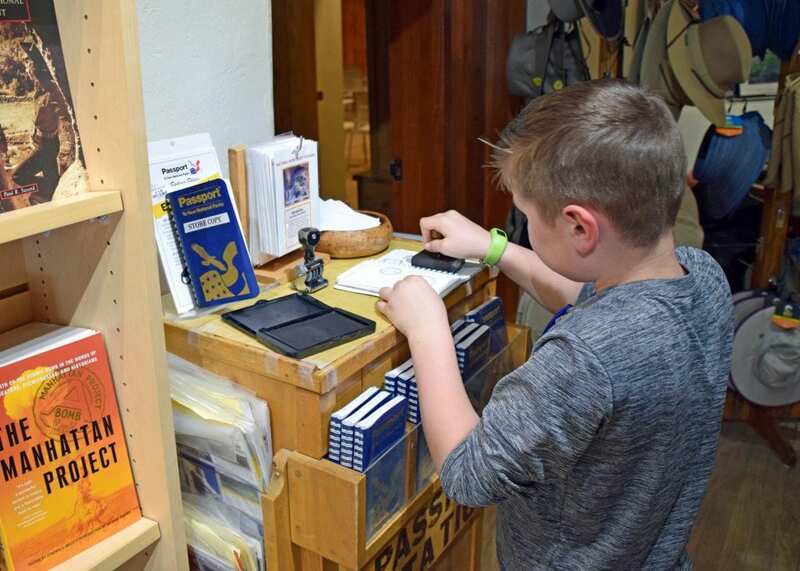 This place is perfect for curious kiddos. On the map, Alcove House was an optional off-shoot that promised more climbing and a spectacular view so we decided to go for it. 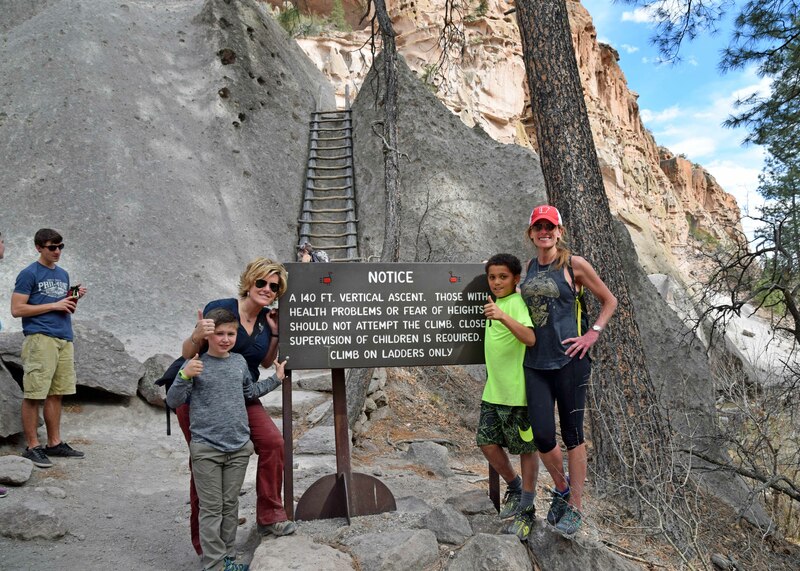 As we hiked, we started to notice tiny ladders and hikers up in the cliffs, but we weren’t close enough to see how it would all come together. In that moment, it was official. I’d found something I like less than bridges. 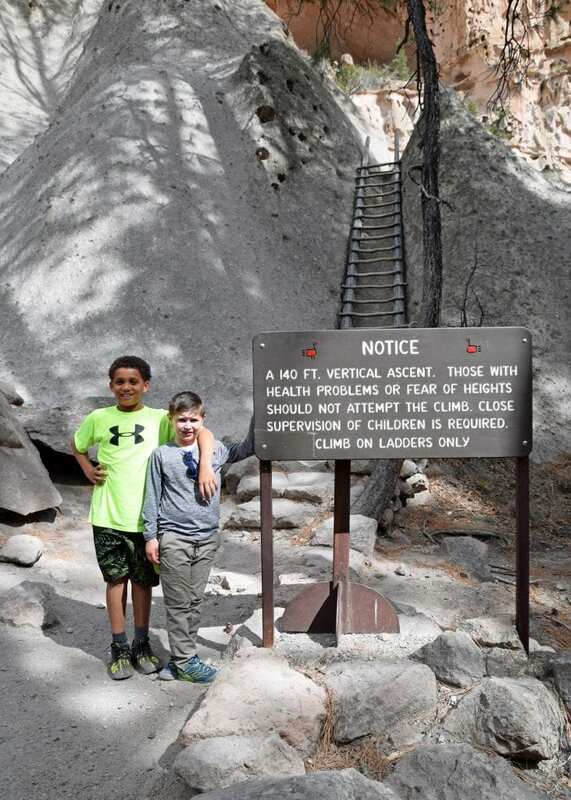 The kids, however, were like billy goats scrambling up that thing. We had a team meeting about safety and listening and focus — and they were off. 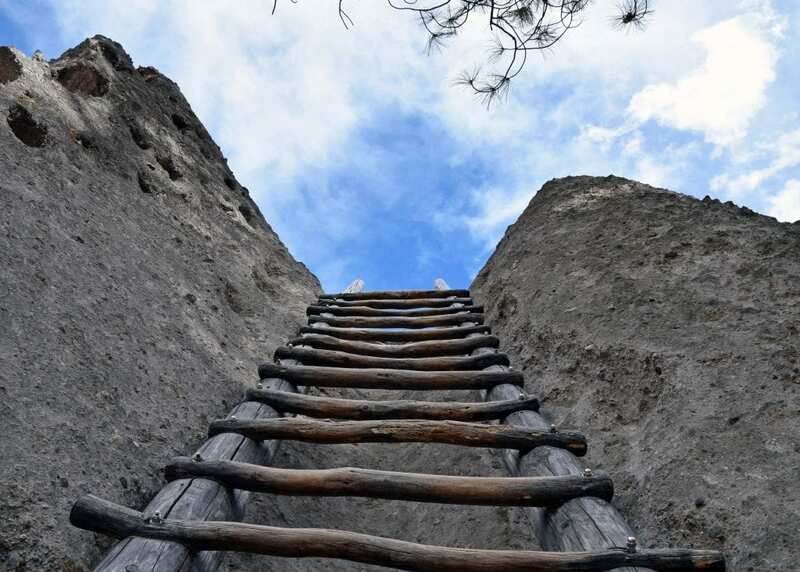 There were four ladders and many stone steps in order to reach the prize — Alcove House. 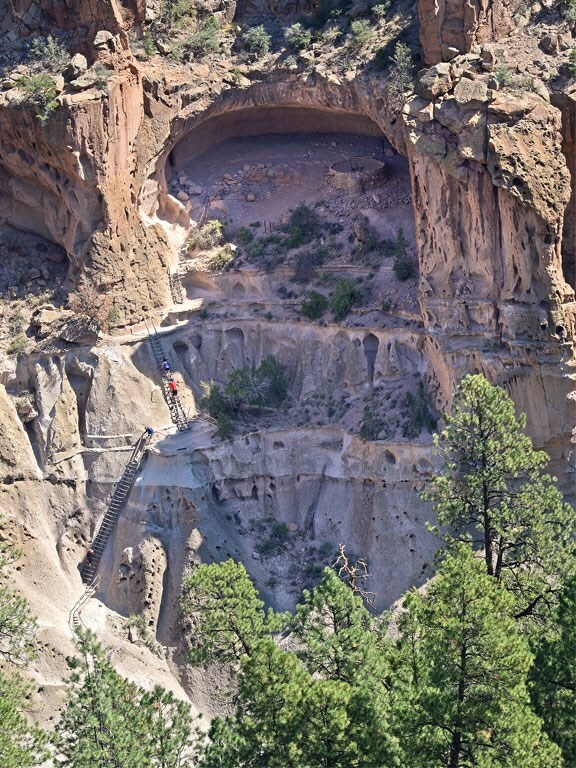 Photo cred: National Park Service // This is a great view of the trail up to Alcove House. 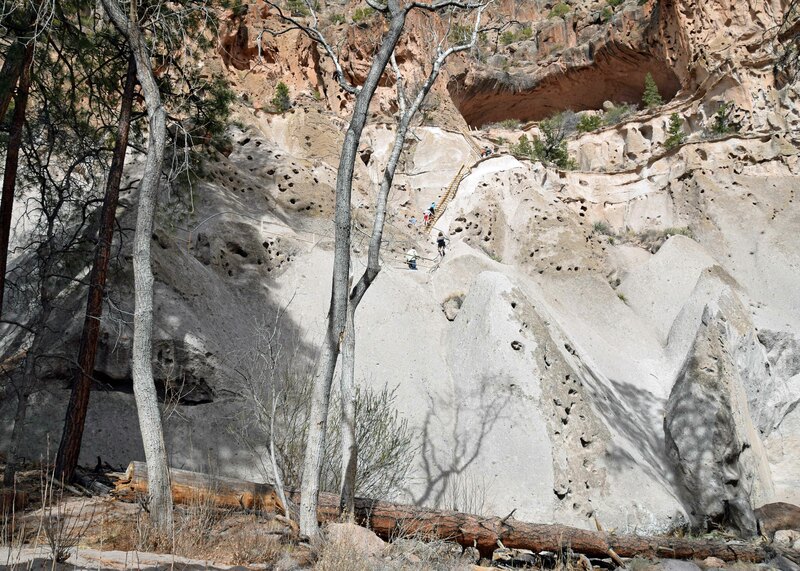 You can see the ladders along the left, and the dwelling at the top. The view from there was beautiful. View from safely inside Alcove House. Charles, Susan, Colt, Sarah — we made it! Colt has started asking me to use the camera — which I love — so he snapped a few photos, including some portraits, while we rested and had a snack at the top. As I learned early in my backpacking experience — the summit is only halfway. 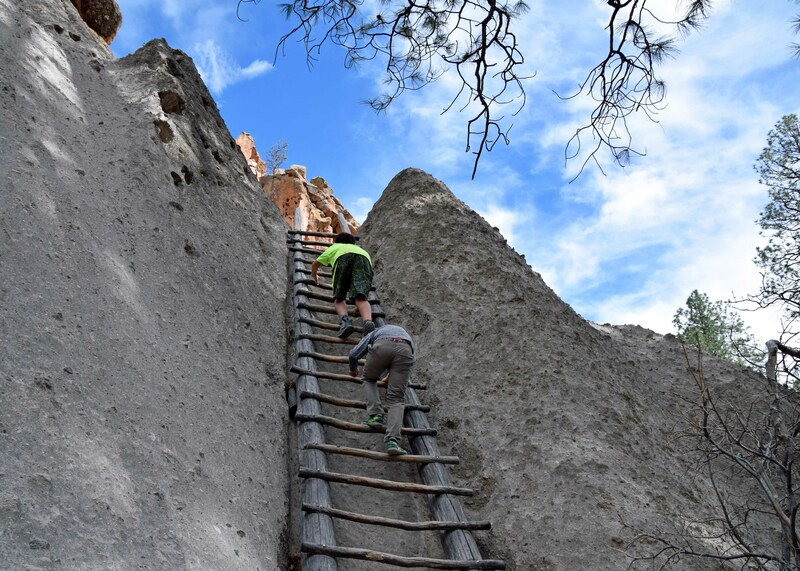 There is not one single photo of us coming back down those ladders because it was tense and I used every last ounce of focus and caution and try-not-to-shake-so-bad-you-fall-off-a-ladder to get back down to solid ground. We held a slightly more intense version of the team meeting on safety and listening and focus — and then slooooooowly made our way back down the ladders. Going down was worse than climbing up, but we took one rung at a time and we made it! 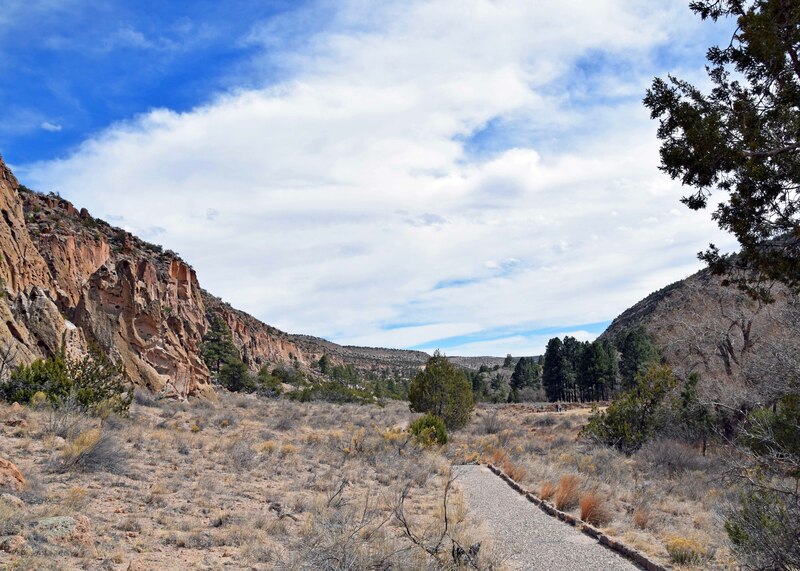 We made our way back on the trail, enjoying all we could of this beautiful slice of New Mexico. 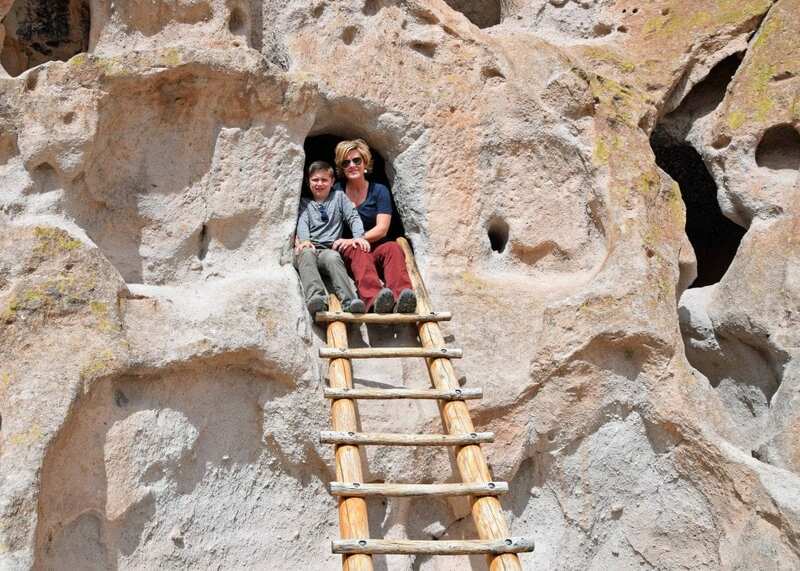 And then we waved goodbye to our day of adventure at Bandelier and headed off to explore Santa Fe. Bring a healthy energy level. This place was more intense hiking than we anticipated. We loved it, but visitors should know that this is not a stroll and there’s nothing to see from the car. 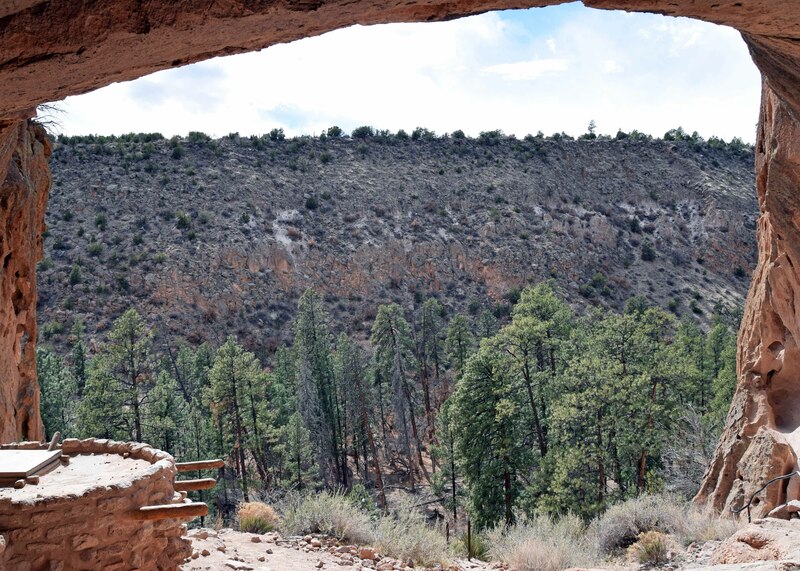 Bandelier is for the national park visitors who wanna get a little sweaty and dirty — and work hard for the best view in the area. Be realistic about what your kids are ready for. We’ve long believed that kids are ready for bigger things not when they’re older, but when they can LISTEN. Age is not the best indicator of how well your kiddo will handle a situation that could be dangerous. Their ability to listen to your warnings and instructions will determine the safety of any intense activity — and Bandelier was a perfect example of that. I was so proud of how Colt and Charles listened to us up and down the ladders — it meant we all stayed safe. Don’t underestimate the elevation. 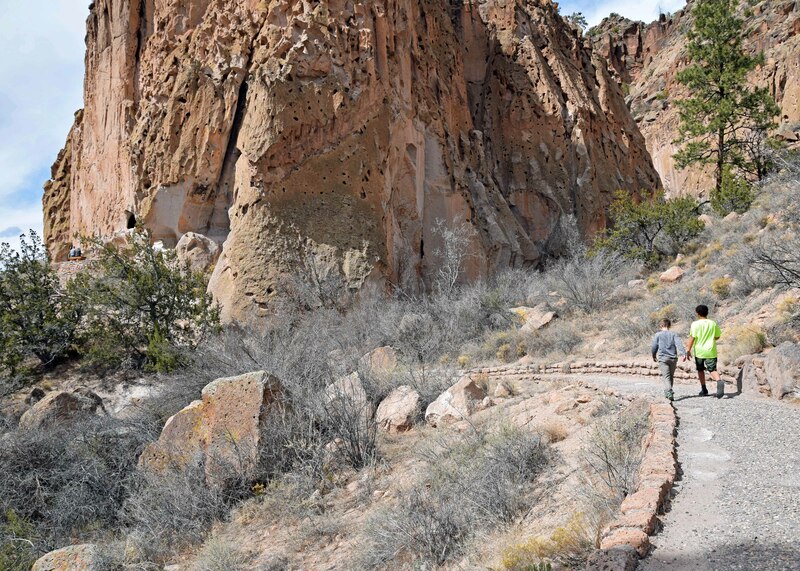 The Bandelier Visitors Center sits at 6500 feet and the trail goes up from there. For reference, Fayetteville, Arkansas sits at 1400 feet and Denver only sits at 5280. 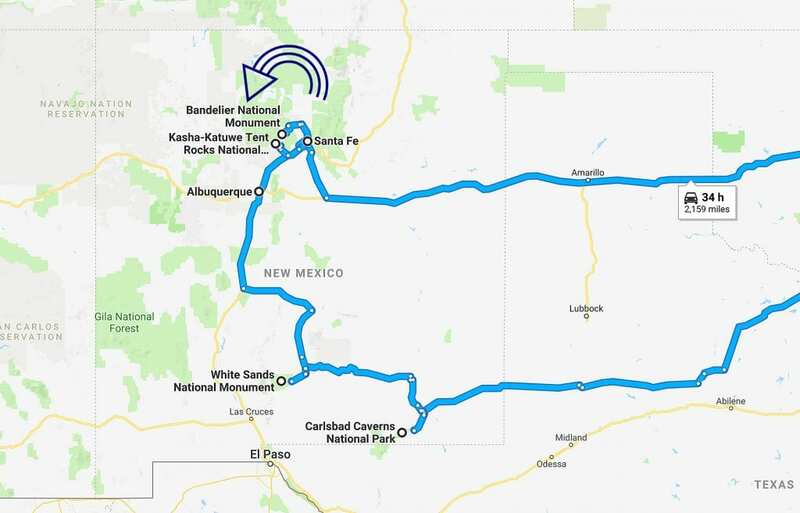 New Mexico is up there! And it’s deceiving because you don’t really feel like you’re “in the mountains”. So take it easy! Stay hydrated and take your time hiking. You’ll feel more tired because of the altitude — don’t fight it.